The popularity of spinach has grown in the U.S. over the past 15 to 20 years due to the increased consumption of leafy green vegetables for their health benefits. Spinach is particularly nutritious and popular with many consumers. In 2016, growers planted the crop on 55,000 acres in the U.S., with 15,000 acres in California’s Salinas Valley alone, valued at $132 million. Production practices have evolved from growers planted spinach in two seedlines on 40-inch-wide beds for harvesting fresh bunches or processed product. In the late 1980s, growers began using 80-inch-wide beds and utilizing dense plantings with 24 to 42 seedlines on the bed top. These planting configurations permit efficient mechanical harvest. This “clipped” spinach is cut 2 inches above the soil surface and transported to a packing plant where it is washed and bagged. The number of seed planted per acre varies from 1.5 to 2.3 million for bunched spinach and 2.7 to 4 million seed per acre for the two sizes of clipped spinach, baby (leaves 2 to 3.5 inches long), and teenage (leaves 3.5 to 4.5 inches long). To obtain high quality and uniform leaf size, growers plant the seed as evenly as possible over the bed top. There are several challenges to producing consistently high-quality spinach. Good drainage across the bed, even watering, and adequate crop nutrition are key. The wide 80-inch beds present challenges for good drainage, and excellent soil preparation is critical to avoid yellowing from water-logged bed middles. High-density plantings on 80-inch-wide beds do not lend themselves to the use of drip irrigation. 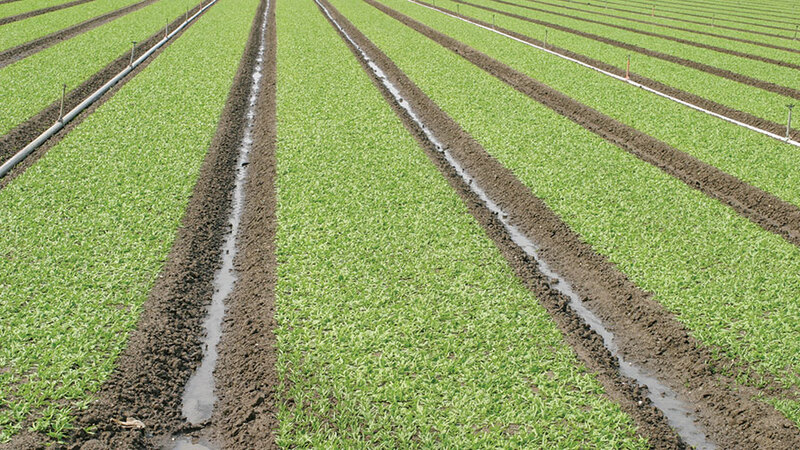 Growers use sprinkler irrigation exclusively for spinach production. Skill and experience help avoid sprinkler patterns in the fields, which can reduce quality and yield. Efficient nitrogen fertilization is another challenge because the spinach growth cycle is short. During the first two weeks of a 30-day cycle, spinach only takes up 10 to 15 pounds of nitrogen per acre, but during the following two weeks, spinach routinely takes up 6.5 pounds of nitrogen per acre per day. Given more strict water quality regulations, efficiently supplying the nitrogen that the crop needs while avoiding over fertilization is a challenge. Testing for residual soil nitrate and accounting for it in fertilizer programs and efficient irrigation management are keys to achieving success. Mechanical harvesting requires excellent weed control to avoid picking up weeds in the harvested product. Given dense planting configuration, cultivation is only carried out in the furrows. Two preemergent herbicides provide good weed control in California: Ro-Neet (cycloate) and Dual Magnum (S-metolachlor). Both are registered for use on spinach . In most instances, these herbicides can help to keep hand weeding costs reasonably affordable. 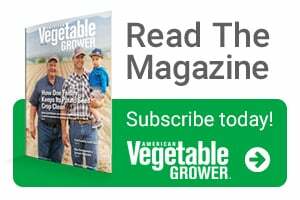 In organic production, growers do not use preemergent herbicides, and weeding costs average $440 per acre, according to a recent study. However, these costs can vary greatly depending on weed pressure. Conventional and organic growers use various cultural practices such as pre-irrigation and careful rotations to minimize weed pressure. The use of resistant cultivars is the most effective strategy for controlling this disease. And seed companies over the years have developed varieties with resistance. However, downy mildew rapidly develops resistance and, at present, there are 17 documented strains. Since available foliar fungicides are protectants, you must apply them before infection occurs. Organic producers are most at risk from downy mildew and can suffer significant yield losses; in situations where genetic resistance is not available, they often will harvest their crop at the first sign of disease. This practice saves the crop but sacrifices yield. Food safety personnel closely monitor the harvest of spinach, scouting fields for signs of animal incursions or contamination. Crew flag any issues, and the harvester avoids them. In addition, with mechanical harvest, contamination from unwanted weeds or foreign objects must also be avoided. As a result, spotters often will walk in front of the harvesters looking for contaminants. They will signal to the harvest machine operator to lift the cutter bar over them. Harvest Moon Automation developed a new automated machine called the Leafy Vegetable Inspection & Rejection System. It attaches to the front of the harvester and uses a series of cameras to detect foreign objects, yellowing, and contaminants on spinach leaves. The harvester’s cutting blade then pushes the detected issues below and does not picked them up. This machine has the potential to allow field harvesting that would otherwise be out of spec due to too much yellowing of spinach leaves from downy mildew or other issues. The beautiful, uniform spinach fields in the Salinas Valley always impress me. A tremendous amount of technology and skill that needs to be brought to bear to successfully produce spinach. Growers still have many challenges. But they are proactive and progressive, embracing new technologies that help them improve production and resolve issues. 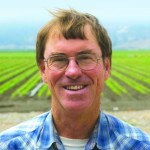 Richard Smith is a University of California Vegetable Crop and Weed Science Farm Advisor at the Cooperative Extension in Monterey, Santa Cruz, and San Benito counties. See all author stories here.